The Rathausen Bridge is a steel-and-concrete composite bridge measuring 75 metres long overall and approximately 9.00 metres in width. 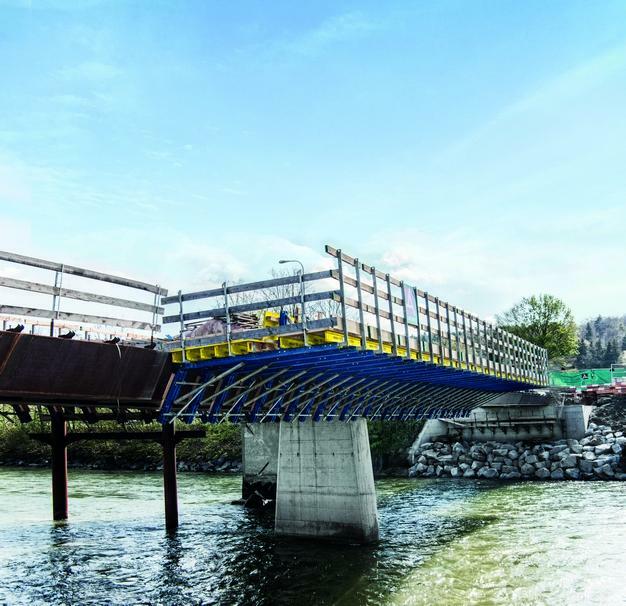 The new bridge spans the Reuss, and the severe fluctuations in the river's water levels are problematic for the build. The Doka ParaTop system needs only minimal space underneath the bridge. So there is nothing to obstruct the river's flow even when it is in spate. Thank you for your interest - Rathausen Bridge. Thank you very much for your interest - Rathausen Bridge.